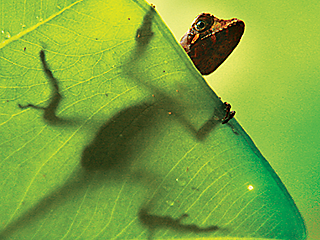 Ecuador is a land of contrasts and one of our favorite destinations. 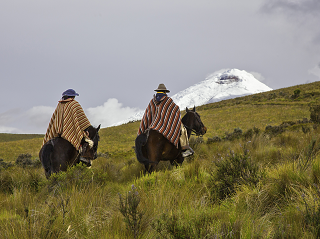 Experience Quito’s well-preserved colonial center, the highland cloud forest, the grandeur of the Avenue of Volcanoes, and visit an indigenous tribe of the Amazon rainforest who are engaged in sustainable, community-based tourism. Depart home and fly to Quito. Upon arrival at the airport, you will be greeted by your guide, who will assist you with your hotel transfer. 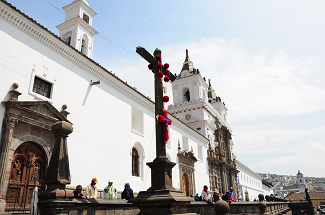 Enjoy a walking tour of Colonial Quito, a neighborhood of narrow cobblestone streets, plazas and the steeples and cupolas of the city´s many spectacular historic churches. Declared a World Cultural Heritage site in 1978, it is one of the best preserved colonial centers in all of South America. 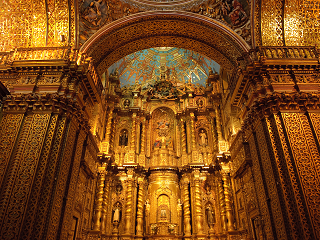 Depart early for a scenic drive northwest of Quito towards Mindo and the Andean cloud forest. 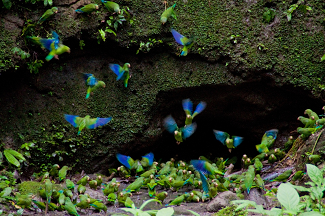 Mindo is a small town that has become a world-class destination for birders and those who appreciate natural beauty. After lunch, explore on your own or enjoy a guided, afternoon bird-watching hike. Rise early and leave the lodge before dawn — the best time to view the greatest variety of birds. The rest of the day will be dedicated to experiencing the cloud forest on hikes through this beautiful habitat. 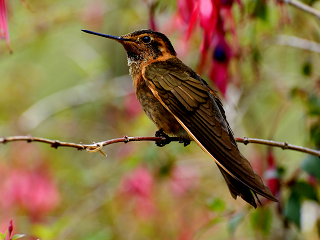 Take an early morning nature hike or just relax at the hotel and watch exotic birds in the garden. 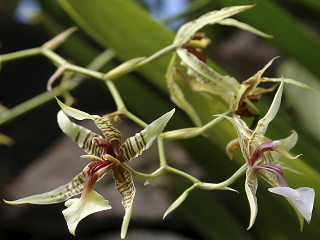 In the afternoon, visit a nearby waterfall with a naturalist guide, and look for hummingbirds, tanagers and orchids along the way. 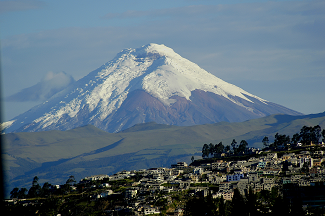 Depart Quito driving south to majestic Cotopaxi, the world’s highest active volcano. 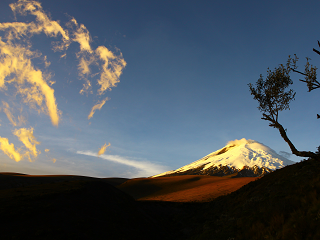 Visit the Interpretation Center at Cotopaxi National Park where you’ll learn about its major eruptions as well as the local flora and fauna. Walk around beautiful Limpiopungo Lake. This evening experience a taste of Ecuador’s colonial past during your 2-night stay in a working hacienda. 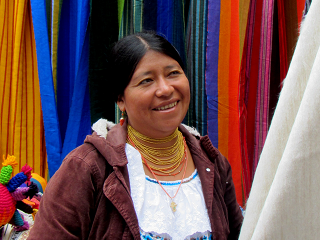 After breakfast, visit an authentic indigenous market in the village of Saquisili, Pujili or Latacunga. Afternoon at leisure at the hacienda. Markets take place on the following days: Pujili: Sunday & Wednesday; Saquisili: Thursday; Latacunga: Saturday & daily. 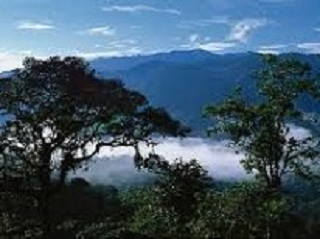 After breakfast depart for Baños, in a scenic valley overlooking the Rio Pastaza. Enjoy one of the thermal hot springs that the area is famous for, just a short walk from your eco lodge or perhaps an in-house spa treatment. Morning departure to the town of Shell, and then via light aircraft to the remote Huaorani Community of Quehuei’ono — near Yasuní National Park. 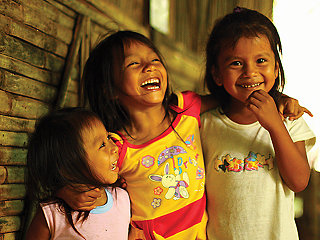 Owned by the Huaorani people, Huaorani Lodge is one of the world’s best examples of community based sustainable tourism. Once we land, travel by dugout canoe to the lodge, where we’ll spend the next 4 nights. First up is a hike, where your local guide will teach you the secrets of survival in the rainforest. After an optional dip in the river, return to the lodge for lunch. Spend the afternoon within the community, getting to know its members. Return via canoe to the lodge for dinner and a night hike. Spend the morning walking through primary rainforest, paddling back to the lodge for lunch. 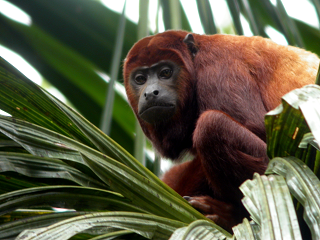 In the afternoon, visit a salt-clay lick that attracts a myriad of birds, monkeys and other wildlife. Canoe down the Shiripuno River in traditional Huaorani style, with excellent opportunities for viewing birds. Next up is a stop at the Apaika community, inside the Yame Reserve, a protected area managed by the Huaorani Association. Overnight at a community-based campsite near a Huaorani village. 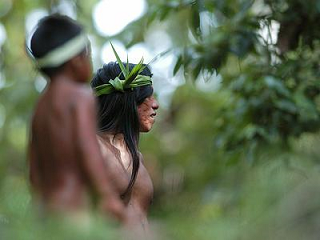 Hike the community trail with your guide to visit a waterfall that has special importance for the Huaorani. Enjoy a refreshing swim before heading back to the campsite to pack up and say farewell to your hosts. Continue downstream by canoe to Coca, where you’ll catch a 30-minute flight back to Quito. Say farewell to Ecuador and the people you’ve gotten to know. Your private car transfer will take you to the international airport for departure flights home. 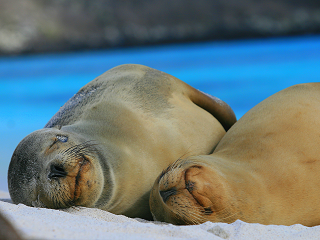 Choose to extend your stay and visit the incredible Galápagos Islands, the ancient ruins of Machu Picchu, and/or other South American destinations. Ask for details.